My journey through Australian lagers has come to an end for now. I've been recording the scores as the challenge has gone along and I've been trying to work out the best way present the results. The aim of the challenge was to find out which state (or territory) has the best macro lagers, beers 1 & 2 will be marked out of 20 and beer 3 (the craft lager) out of 10, for a total score out of 50. The state with the highest score will be crowned the True Brew champion. 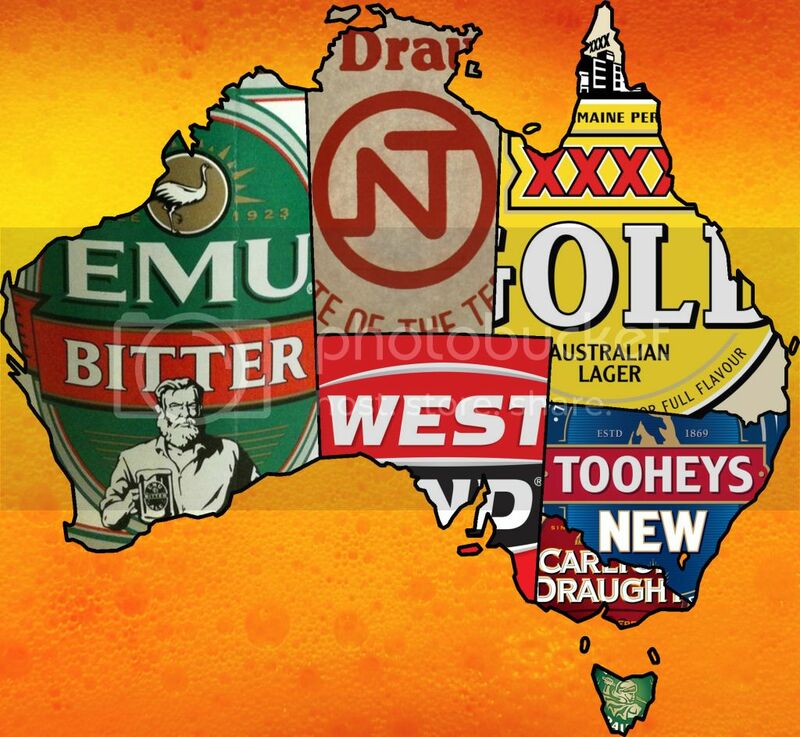 As the table above shows Tasmania is the True Brew champion! This was helped hugely by Boag's Draught being the best rating primary lager. Of the alternate lagers the pick of the bunch was FNQ Lager from Queensland, not surprisingly it is also the closest of these to being a craft beer. The best beer of the challenge was Knappstein Reserve Lager from South Australia, it is a simply stunning lager! For me the most surprising beers were N.T. Draught and West End Draught but for vastly different reasons. N.T. Draught was a really nice clean lager while West End Draught was simply horrendous, 6/20 was a probably kind! My Wife's Bitter scored badly due to it not being a lager and the Wils Pils from Bootleg just didn't do it for me. Overall this was alot more fun than I thought it would be and if you go in with an open mind many of the Australian macro lagers are better than the reputations that precede them. Tasmania though produced three beers that were of high quality in each category and is a deserved winner.